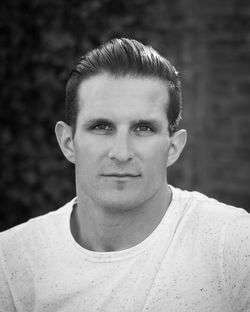 Chaz Bodily has trained in Hip Hop, Ballroom, Contemporary, Tap, and Ballet. He has been a member of numerous national championship teams in ballroom, hip hop and contemporary as well as world championships with his ballroom team in Blackpool, England. Chaz has been cast in several movies, television shows, and music videos all over the country. He was a member of Vibe Tribe that competed on "Live To Dance" and "America's Got Talent". He has danced for LeAnn Rimes as well as the High School Musical trilogy. Chaz has recently worked in commercials for Ford, Budweiser, NordicTrack and many others. He loves teaching, working with children, and he enjoys watching the kids grow and improve each week!